Chlorination system issues at the Peachland Creek Water Intake requires a precautionary Boil Water Notice. We will likely remain in a Boil Water Notice for a few days until we are certain that the issue with the chlorine system has been fixed completely. Provide your thoughts on quality of life, municipal services, consumption, production, and sale of cannabis -- among many other topics � with the 2019 Peachland Citizen Survey. The survey will be open from April 23, 2019 and will close at 11:59pm on May 14, 2019. Weather permitting, the street sweepers are continuing on Trepanier on Saturday morning. If all goes well, they'll move on to Ponderosa. 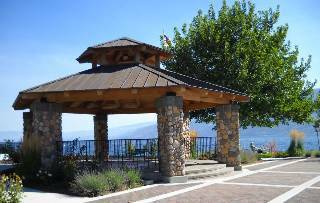 The District of Peachland is providing an opportunity for the residents of Peachland to express an opinion on the 2019 Financial Plan at the regular meeting of Council to be held in the Council Chambers 4450 6th Street at 7:00pm on April 23, 2019. The Financial Plan is now available for inspection at Municipal Hall. The District of Peachland has initiated a WATER QUALITY ADVISORY, effective immediately. Please click on the heading link for more information.